Selma Police Chief Billy Thomas has announced the 2018 Selma Police Officer of the Year. 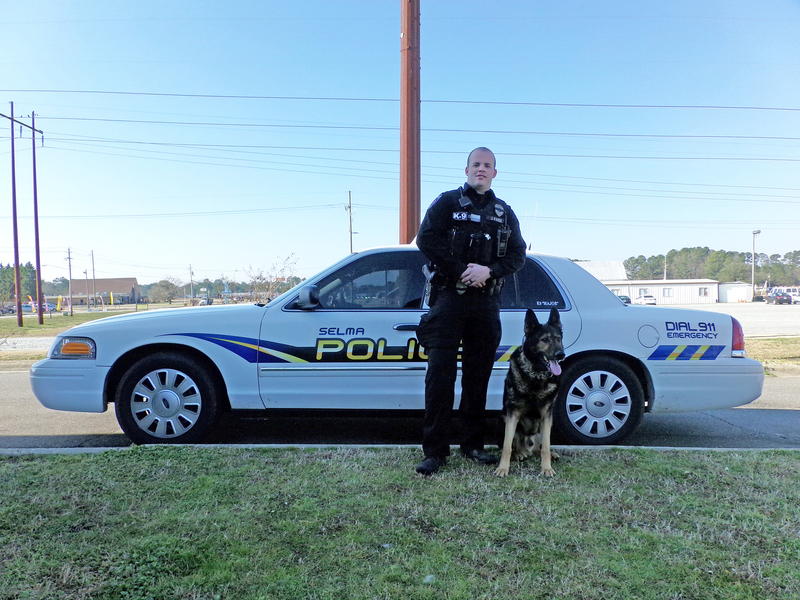 K-9 Officer Justin Vause was selected for the honor following a vote of all Selma police personnel. 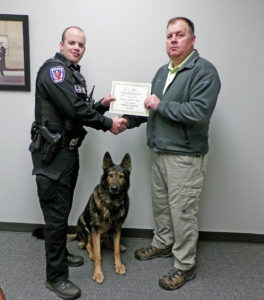 Vause shared the award with his K-9 partner ‘Major’. Officer Vause graduated from Smithfield Selma High School in 2004. 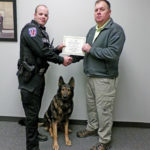 He graduated from Basic Law Enforcement Technology at Johnston Community College. 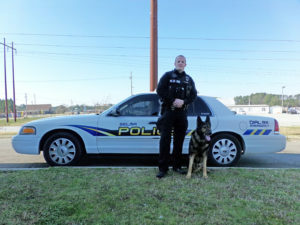 He worked for the Wilson and Clayton police departments before joining the Selma Police Department two years ago. Vause said his K-9 partner is trained in tracking, apprehension and narcotics detection. 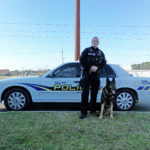 Vause is the Secretary-Treasurer of the US Police K9 Association and a member of the Johnston County Fraternal Order of Police. He and his wife, Amy, have one daughter and live in the Cleveland community.